Viahance dead-cell removal kit enchances the viability ratio of live to dead cells in cell culture through removal of dead cells and cellular debris using magnetic negative selection. Viahance removes dead cells, stripped nuclei and free oligonucleotides. Other dead cell separation kits only remove dead cells. Viahance's ability to remove dead cells, stripped nuclei, and free oligonucleotides from cell culture will increase cell culture viability, improve data quality and favorably impact downstream results. Eliminating stripped nuclei and free oligonucleotides cleans up a cell preparation for future molecular biology work. 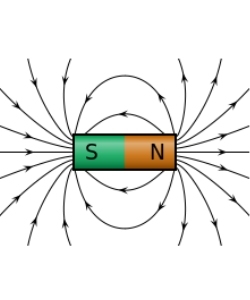 Magnetic particle technology allows for the simple, rapid and efficient enrichment or depletion of specific cell populations. BioPAL is proud to announce its line of magnetic particles: BioMagic™ and Trackable BioMagic™. These magnetic particles are well suited for use in immunoassay, RNA separation, and cell sorting applications. Trackable BioMagic provides the added benefit of being able to track and quantify the fate of the particles under different experimental conditions either by time resolved fluorescent technology (TRF) or neutron activation (NA).